I showed you in a previous post of supplies I purchased last week for a necklace that I found that inspired me to make. So I wanted to share with you what I created from these supplies. 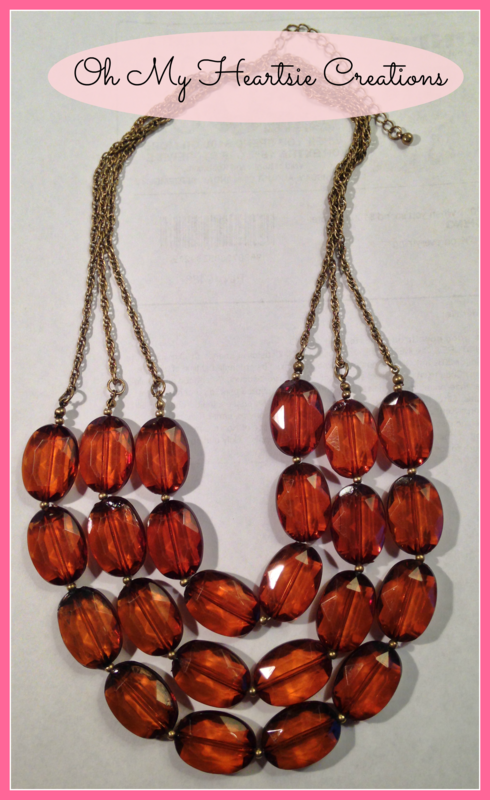 Plus I needed a few more beads to go into my project so I purchased a necklace to use in remaking my new fall necklace. So from here I decided to use 2 strands of the chain to create my necklace. And here is my reveal, how did I do, look like fall? I had fun and always do creating jewelry and I am just getting back into my hobby, I have so many supplies I really need to utilize, some new ad some from older jewelry I can re-purpose and it will be fun to share with my friends. 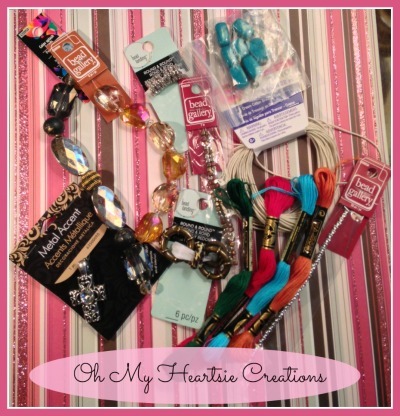 There’s always more ways to subscribe to Oh My Heartsie Girl and your welcome to come along! Very nice! Well done! This is a skill that I still need to learn. I love the creativity of it. Thank you Christina I have fun making jewelry, I had no classes, I just studied photos of how things were made and copied the concept. I have so many beads and stuff I need to use them. THanks for stopping by WW, I would love if you would sign up to receive my weekly hops, http://mad.ly/signups/87541/join Wishing you have a great week!! 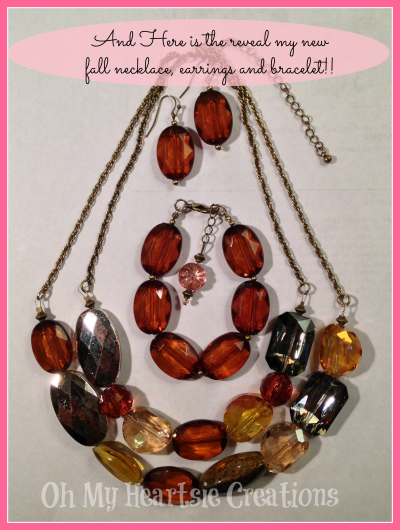 What a gorgeous set of jewellry, perfect for fall! Happy WW, and thanks for featuring our button. Great job! It’s a gorgeous set. Oh, I love it. 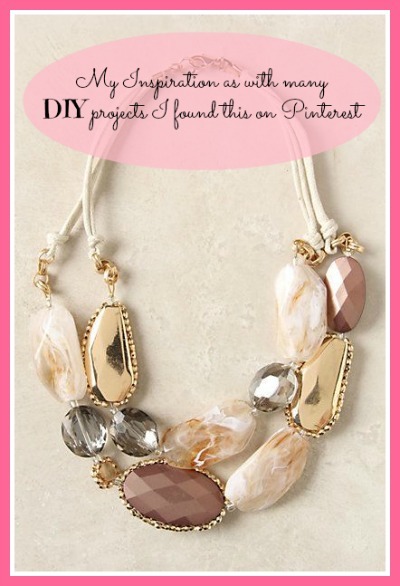 Looks chunky and great for fall. I like that last one so much! It would go with so many of my shirts. Gorgeous. My girls 12,13 and 15 are just starting to get into designing jewellery for their family and friends. Happy WW thanks for hosting. Hi Rachael, How fun that they are creating, noone else will have what they will be wearing. And if they get tired of something, they can take it apart and remake into something else. That is a lovely necklace! Have a great day. Thank you Diana, glad you liked the set. I will be making something each week, think I finally decided on a name for my ww, but wordy. The necklace turned out wonderfully. In the winter I like spending time with my mother and creating jewelry. Wow, those are incredible! The color schemes are just right. I love those fall colors. Your necklace is so pretty. Well done! Have a great week! Great job – they look like Fall! Thanks for sharing on Fluster’s Creative Muster. Lovely jewelry, but I quit wearing jewelry long ago. Why? I don’t know. Thank you, I too went through a stage when I did not wear much, used to wear tons of stuff, weird how we go through those stages. That looks like a wonderful project. Your necklace is really nice.